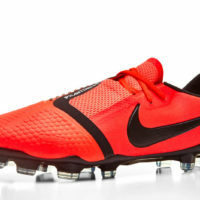 With the NWSL season only a few short weeks away and the upcoming tournament in Rio this summer, Nike has deemed March worthy of the release of their newest women-specific boot pack. To be completely frank, this pack might be the best collection Nike has released in 2016 (for women OR men). 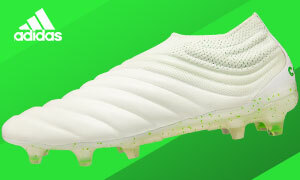 Although it won’t get as much recognition as the standard ‘Radiant Reveal’ Pack, there can be no doubt that these boots would be a hit across the board. 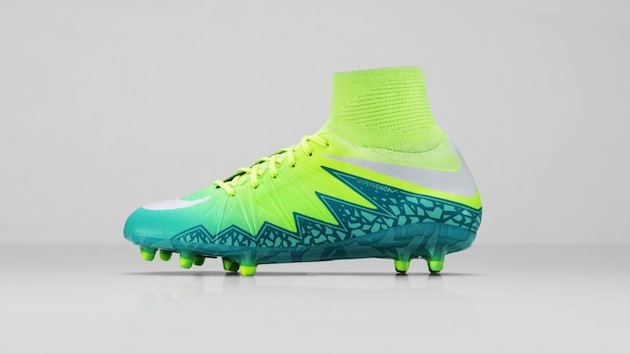 We definitely can’t wait to see the biggest Nike stars on the women’s stage to lace up in these boots (although, the jealousy is certainly present…we want them all!). Adorning every Nike silo, the Radiant Reveal Pack represents the changing from Spring to Summer as color slowly envelops the world. 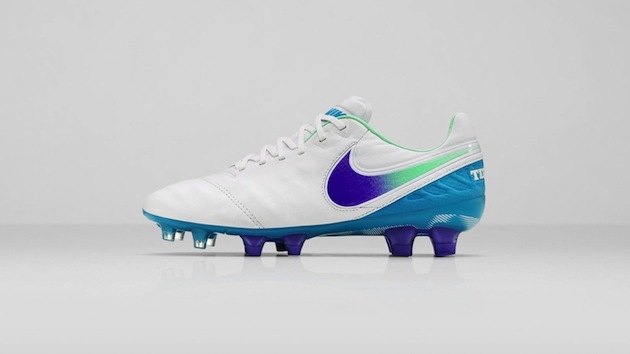 The Tiempo, while being the safest colorway of the bunch, offers a gradient change from a deep, icy blue to a bright teal. 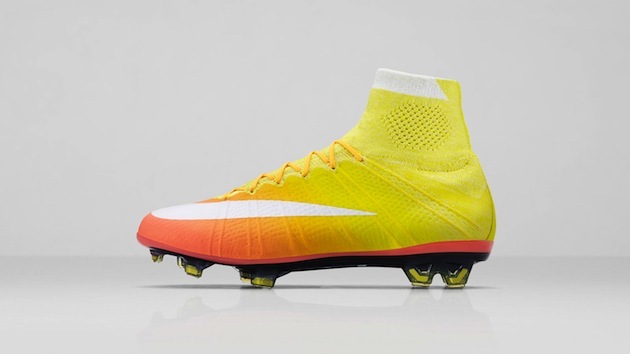 The HyperVenom goes from the same bright teal and starts to fade into Nike’s signature Volt, the SuperFly shifts from a yellow/volt mixture into pink at the toe, and the Magista slowly fades from a pink/orange at the heel into a deep red on the toe. 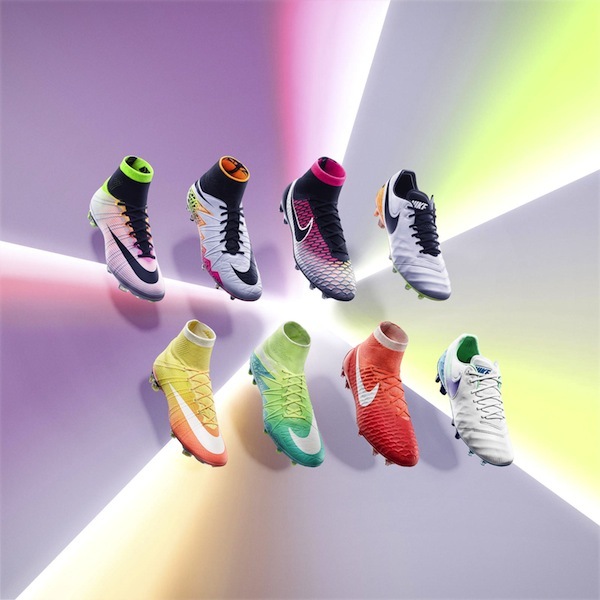 Although nobody has mentioned it, the boots all fade into one another if placed in the right order (Tiempo heel to Venom toe, Venom heel to SuperFly heel, and SuperFly toe to Magista heel)…and we really hope we get to see a picture showcasing that before too long. 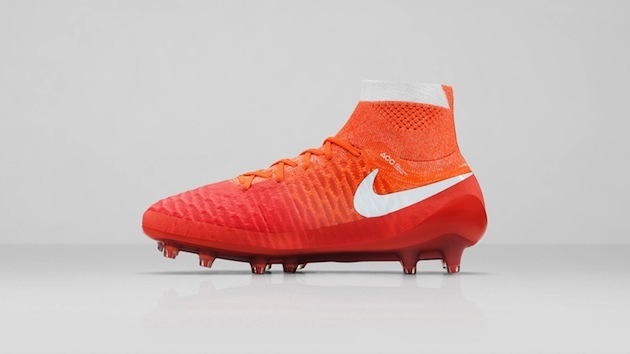 If you ever wondered which player will be rocking these boots from the USWNT, look for Julie Johnston of the USWNT’s defense to rock the Tiempo, Meghan Klingenberg and Alex Morgan to sport the HyperVenom, Carli Lloyd to wear the SuperFly, and Hope Solo to be wearing the Magista. Nike made a big step with the original women’s pack during the 2015 WWC, but it is very satisfying to see them continue their dedication to the women’s side of the game. Look out for a custom Ordem to be used during the NWSL season along with all of these boots being on full showcase throughout any competition this summer. We’ve seen how quickly the focus and game is growing with the attendance at the recent SheBelievesCup, and brands are definitely starting to jump on the bandwagon. P.S. Dear Nike, can we get these in men’s sizes too? Just a thought…oh jealousy, thy name is radiant reveal!